​Tottenham Hotspur will welcome Bundesliga leaders Borussia Dortmund to Wembley Stadium on Wednesday in the first leg of their Champions League round of 16 tie. Both sides will be sweating on the fitness of several of their key players. For the hosts, Harry Kane is inching ever closer to a return from an ankle injury, whilst Dortmund icon Marco Reus faces a late fitness test after suffering from a thigh injury in recent weeks. With the two sides both known for their work rates and fluid attacking play, this tie looks set to be one of the most mouthwatering of the knockout stages this season. Here's 90min's preview of the first leg. ​Tottenham fans will be desperate for both ​Kane and ​Dele Alli to return to the lineup for such an important game. The pair, who have both been out since mid-January, are nearing the end of their recoveries, but this game will likely come too soon. ​Ben Davies missed Sunday's meeting with ​Leicester City with a groin injury, as did ​Vincent Janssen, who has been dealing with a knee injury. ​Eric Dier could return to the lineup, having sat out the weekend's match with an illness. As for ​Dortmund, their biggest concern comes in the shape of ​Reus, who was forced off in the DFB Pokal defeat to Werder Bremen with a hamstring injury. He sat out Saturday's draw with Hoffenheim, and it remains to be seen whether he will recover in time. Defenders Manuel Akanji and Leonardo Balerdi will also miss the match, with the pair suffering from hip and facial injuries respectively. Right-back Lukasz Piszczek has also been suffering from a heel injury, and may be forced into a spell on the sidelines. The two sides have faced off four times in the past, fortunes have certainly been mixed for both teams. The first meeting came at this stage of the 2015/16 Europa League, and it was Dortmund who emerged victorious, earning a comprehensive 5-1 victory on aggregate. However, they also met twice in the group stage of this competition last season, and it was Tottenham who took the spoils on both occasions. A 3-1 win at Wembley was followed up by a 2-1 victory in Germany, which will certainly give Mauricio Pochettino's men confidence. Both Kane and ​Son Heung-min have netted three times against Dortmund, whilst Reus has returned the favour with two goals of his own against the ​Premier League side. 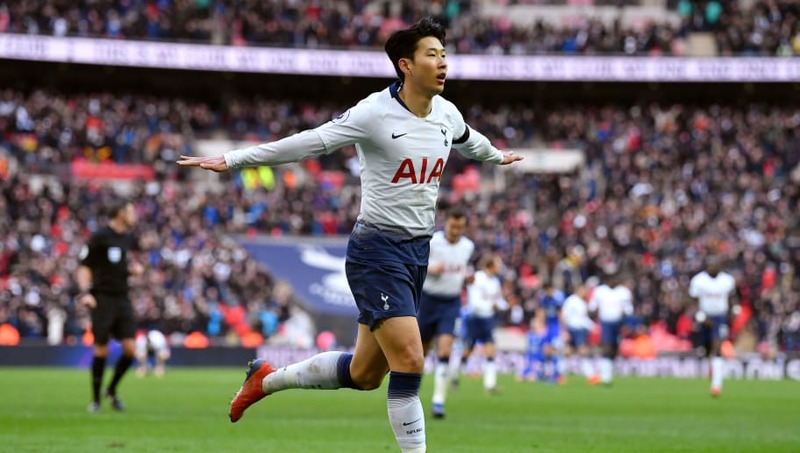 After being eliminated from both domestic cup competitions, Tottenham bounced back with consecutive victories against ​Watford, ​Newcastle United and ​Leicester City, who pushed them to their limit on Sunday. Similar to the hosts, Dortmund also suffered elimination from a competition in recent weeks, falling on penalties to Bremen in the DFB Pokal. This result comes in the middle of a miserable run of form as Dortmund are without a win in their last three games. They looked to have recovered as they raced to a 3-0 lead against Hoffenheim, only two concede three goals in the last 15 minutes to gift their opponents an unlikely point. When the draw was initially made, Tottenham will have been understandably wary of ​Bundesliga leaders Dortmund. However, this seems to be the best time to play them since the season began, given the Germans are struggling to keep clean sheets and falling to some unexpected results. Dortmund will certainly feel the absence of Reus if he does not recover in time, but the same can be said for Tottenham with Kane and Alli. They are a different animal without the dynamic duo, and a positive result on Wednesday is by no means assured. Tottenham's injury woes will likely have a greater impact than Dortmund's, and the visitors will look to use that to their advantage to earn themselves a vital lead in the tie.